University of Glasgow :: World Changing:: The light harvesting complex from photosynthetic bacteria. From the early 1970s Richard Cogdell had been involved in research on bacterial photosynthesis. His work increasingly focused on the early events of photosynthesis - light harvesting and energy transfer - and the structure/ function of the pigment-protein complexes involved in these processes. The use of protein crystallography led in 1995 to Richard Cogdell's (botany) and Neil Isaacs's (chemistry) research groups determining the three dimensional structure of a light-harvesting complex (LH2) from the purple bacterium Rhodopseudomonas acidophila. "There is a process on Earth that already uses solar power to make fuels. This process is photosynthesis. Indeed all our current fossil fuels represent photosynthesis that took place millions of years ago." The LH2 complex is a major component of the photosynthetic apparatus of those species of bacteria that use light as a source of energy. In these bacteria, bacteriochlorophyll pigments in the light-harvesting complexes absorb light. This energy is then funnelled to another large protein-pigment complex, called the reaction centre, where it is converted into a chemically useable form. This capture and transfer process operates with nearly 100% efficiency. The structure of the light-harvesting complex revealed how the energy is captured and then transmitted on to a reaction centre. It showed how the protein scaffold holds the pigments in precise orientations that maximise the efficiency of energy transfer; how the assembly protects itself against damage by species of reactive oxygen formed by the incident light; and how some bacteria have adapted to grow under low-light conditions by mutating specific amino acids in the proteins. This study has led to research into ways of using solar energy to produce fuels. Professor Neil Isaacs holds the Joseph Black Chair of Protein Crystallography. He has held this Chair since 1989. Isaacs graduated BSc honours in Chemistry from the University of Queensland in 1967 and was awarded a PhD from there in 1970. From 1969-72 he was a Research Assistant at the University Chemical Laboratories, Cambridge. In 1972 he became an IBM Research Fellow (and Junior Research Fellow, Balliol) at Oxford where he worked in Dorothy Hodgkin's group. From 1976 he was an IBM World Trade Research Fellow at the IBM T J Watson Research Center, Yorktown Heights, in New York and held this position for a year. In 1977 he became SERC Senior Visiting Fellow in the Department of Chemistry at the University of York. A year later he moved to the University of Melbourne and became a University Research Fellow in the Department of Biochemistry. From 1979-89 he was NH & MRC Senior Research Fellow at St Vincent's Institute of Medical Research in Melbourne. He then moved to Glasgow in 1989 and was appointed to the Joseph Black Chair of Protein Crystallography. 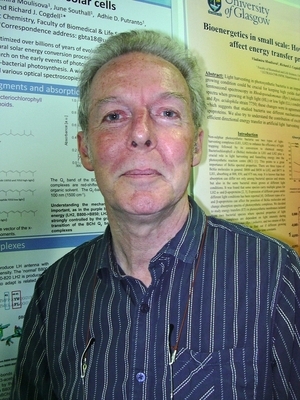 He was elected to the Fellowship of the Royal Society of Edinburgh in 1997. His research is concerned with the determination of protein structures using single crystal X-ray diffraction methods in order to understand the biological function of the protein. 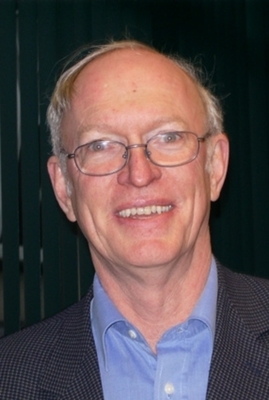 Along with colleague Richard Cogdell, he has conducted seminal research into the structure and function of bacterial reaction centres and light-harvesting complexes.In 2009 he was awarded an Honorary Degree by Nankai University as testament to his many achievements working in the fields of protein crystallography and structural biology. Cogdell, R., H. Hashimoto and A. Gardiner. 2004. Purple bacterial light-harvesting complexes: from dreams to structures. Photosynthesis Research. 80: 173–79. McDermott, G., S. M. Prince, A. A. Freer, A. M. Hawthornthwaite-Lawless, M. Z.Papiz, R. J. Cogdell and N. V. Isaacs. 1995. Crystal structure of an integral membrane light-harvesting complex from photosynthetic bacteria. Nature 374: 517-21. World Changing Project, "The light harvesting complex from photosynthetic bacteria.," in University of Glasgow World Changing (University of Glasgow, 2010); http://www.worldchanging.glasgow.ac.uk/article/?id=36 (accessed April 26, 2019). World Changing Project. "The light harvesting complex from photosynthetic bacteria.." In University of Glasgow World Changing. University of Glasgow, 2010. http://www.worldchanging.glasgow.ac.uk/article/?id=36 (accessed April 26, 2019). World Changing Project. "The light harvesting complex from photosynthetic bacteria.." University of Glasgow World Changing. University of Glasgow, 2010. 26 April 2019 <http://www.worldchanging.glasgow.ac.uk/article/?id=36>.